Die hard high performance scale off road rigs require the most essential components to keep the action rolling. Set #10 does not disappoint as it includes all the scale support parts to add the most realistic detail to your rig. 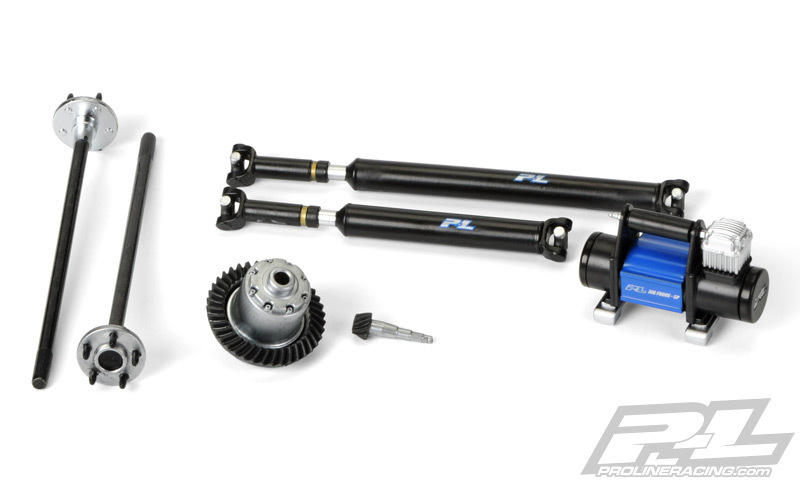 This set includes Realistic looking Short and Long Drive Shafts, 2x Axles from our set #4 6072-00, Air Locker with Ring Gear Detail, Pinion Gear and a Portable Air Compressor.